Home is where the geographic coordinates are. They identify your precise position on the planet, and they're cooler than a street address. 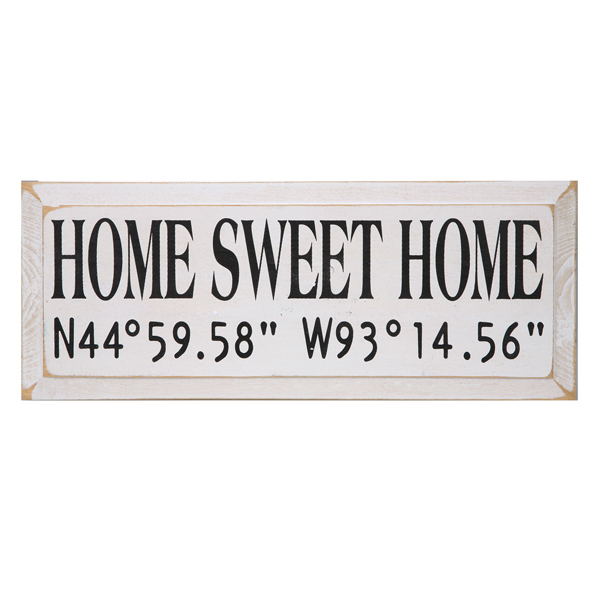 Most of us don't know our home's coordinates; no worries, just specify your address, city or town, state, and ZIP code and we'll do the rest. Sign is solid knotty pine with beveled edges. A great gift for the new homeowner. 18" x 7". Made in the USA. No rush delivery or gift box.